Hey there TMI fans! The ABC Family/Freeform premiere of Shadowhunters is fast approaching, only two months away. Woo! Well, lets hope that the series itself is good. Trying not to get my expectations to high for the series. Friday afternoon, the first poster for Shadowhunters was finally released. Check it out below. Shortly after the unveiling, E! 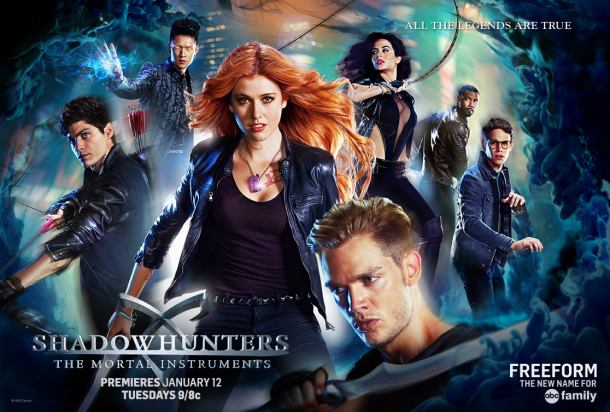 Online has debuted the new character posters of Clary, Jace, Simon, Isabelle, Alec, Magnus and Luke. Shadowhunters will premiere Tuesday, Jan. 12 at 9/8c on ABC Family soon to be Freeform.